Nothing is more unattractive than a lobster-like burn all over your face and body from too much time in the sun. Get out your SPF and follow some of these tricks and you can be safe AND chic this spring and summer. SPF is so important, and it's really a shame that some people only wear SPF this time of the year as the sun comes out. Make sure you are generous in your application and reapply every 2-3 hours or whenever your formula indicates. Even if you buy a waterproof formula, you will need to reapply every 2-3 hours to keep it active. Water from the pool and moisture from your sweat break down the lotion and make you more susceptible to burning. The best and most realistic formula I have found is one that comes with an aerosol spray. Use at least SPF 30, or you're wasting your time- anything below that doesn't help. You can still get a tan even with SPF but keep in mind that any color your skin gains in the sun is a result of sun damage, which in time can result in cancerous cells and melanoma (the deadliest form of skin cancer). 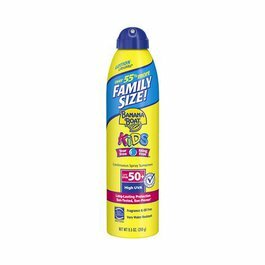 The best part of aerosol spray is not having to get greasy lotion all over your hands and being able to reach everything (even your back) with no problems. *Shameless plug for SPF- If you wear it consistently for 30+ days on your face, you will notice your complexion starting to brighten. Why? Your skin automatically starts repairing itself against past damages when you protect it from the sun's rays. Don't forget about your lips! They can get burned too. 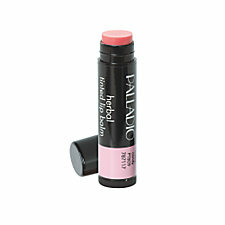 My favorite lip balm for the summer time, and year round, is Palladio Herbal Tinted Lip Balm that you can buy at Sally's Beauty Supply. I am going to have to stock up, because I noticed on their website that they are on sale for $1 off. Sweet deals! This stuff has a UV filter so it will help with sun care for your lips. The colors are absolutely gorgeous- my favorite is Bronzy Pink but I have one of each in their collection, and they're all to die for. There are some foods you can eat that may help protect your skin. Read this article for more information. If you don't want to, just know that the lycopene in tomatoes, and some leafy greens and teas can help boost the natural SPF in your skin. I certainly wouldn't rely on this for your only sun protection, but it's a great way to boost your tolerance to the sun in addition to your SPF lotion routine. Some medications can make your skin sensitive to the sun. Check with your doctor if you take Tetracycline (an acne medication) or any other medication that says on the label that you may experience sun sensitivity. You may have to take extra precautions to be safe in the sun. Also, if you are at a high elevation, in the mountains, or near the equator, you are likely to get a lot more sun and especially more of the dangerous rays. I just read some excellent information at this site that can explain in more detail how to be safe depending on where you live and your lifestyle. Luckily, summer styles make it easy to be cute and safe from the sun's harmful rays. I love floppy hats and they are great for keeping your face shielded and for casting a shadow on your shoulders. It may be difficult to find one you like and don't feel self conscious in if you're a newbie to hats. Bring an honest friend and go to Target- they have several hats in the $15 range and your friend can help you narrow down the best one for your face shape and personality. Big sunglasses are flattering on all face shapes and also keep the sun away from your eyes. When you're not squinting against the sun, you are keeping your eye area safe from wrinkles! Wrinkles occur when over a long period of time you make the same facial movements, whether it be a frown, a smile, squinting, or furrowing your brow. The best way to keep the eye crinklies at bay is to pop on a huge pair of sunglasses. Here's to less wrinkles and some super cute rhinestone bling glasses! Ok, so now you know how to protect yourself. Let's say you didn't listen and now you're burnt to a lobstery crisp. What now? Thankfully, we have some great ideas to help you mend your skin. But make sure to read the above tips so you can prevent it from happening again! Use an aloe gel- pretty much anything will help soothe your skin but make for certain that it contains NO ALCOHOL. I don't know why they make it with alcohol in it because it makes the burn much, much worse. Check the ingredients before purchasing. If you have an aloe plant, all the better- just snap off a small piece and spread the jelly on the affected area. 1% Hydrocortisone cream is also helpful. While treating your burn, stay inside as much as possible. Being in the sun at all will aggravate the problem. Drink a ton of water and take an Aspirin to reduce swelling. We are not medical doctors, this is just something we have found that has helped us. If your skin is covered in blisters or if you're for any reason concerned about the level at which you're burned, go see a doctor. Take cool showers, and avoid any exfoliating scrubs or harsh formulas. Mild soap is your best bet. Pat yourself dry, don't rub the towel on your skin, and wear loose fitting clothes as much as possible. Do not peel at your skin! Never, ever, ever use a tanning salon. The rays emitted from those beds are 2-3 times stronger than ones from the sun. 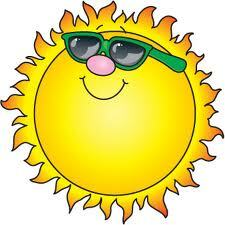 If you are concerned with getting adequate Vitamin D, you get more than enough just being outside for 30 minutes a day! Amazing amazing post! I'll have to bookmark this! I always end up getting my lips burned in the summer. I need to get a really good lipbalm with an SPF! So glad you like the post! We have more on summer sun and makeup with SPF coming soon! Something I want to try for sun protection is the Colorescience Sunforgettable mineral powder. It's pricey but it looks like such a great alternative to wearing sunblock. http://www.colorescience.com/ProductDetails.asp?ProductCode=brush30 . I like the idea that it's so portable and easy to throw in your purse without worrying it'll explode all over, and you can easily wear it over your makeup and even use it on your whole body for sun protection! And there's none of that yucky sunblock smell.